An irresistible, charming, and inspired selection from the work of one of this century's great food writers. Like M.F.K. 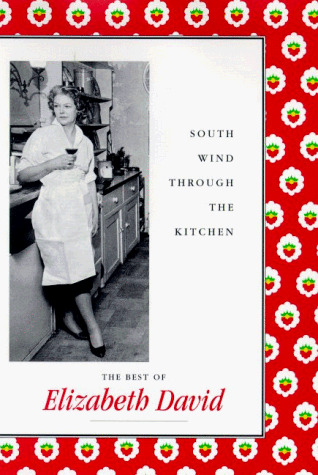 Fisher and Julia Child, Elizabeth David changed the way we think about and prepare food. David's nine books, written with impeccable wit and considerable brilliance, helped educate the taste (and taste buds) of the postwar generation. Insisting on authentic recipes and fresh ingredients, she showed that food need not be complicated to be good. A Book of Mediterranean Food, published in 1950, introduced the ingredients of a sunnier world (olive oil, garlic, eggplant, basil), celebrating their smell and taste and above all highlighting the concept that food reflects a way of life and should be a source of joy. Subsequent books on French and Italian cooking and a stream of provocative articles followed. Later, David's monumental English Bread and Yeast Cookery became the champion of the Real Bread movement. Her last book, Harvest of the Cold Months, is a fascinating historical account of food preservation, eating habits, and the astonishing worldwide food trade in snow and ice. Many of the recipes and excerpts here were chosen by David's friends and by the chefs and writers she inspired (including Alice Waters and Barbara Kafka). This collection will enable some of us to discover and others to remember what made David one of our most influential and best-loved food writers.